I had written the last post for Two Sisters From The Right for 2011, however, today I received the following essay from frequent contributing commentator, author Rich Carroll. Mr. Carroll is the most read author on Two Sisters and has quite a following, so we simply could not close out the blog for the year without sharing this essay with his readers and fans. Once again let us wish you all a very Merry Christmas. Allow me to address a subject without sounding like a disgruntled character in a Irving Wallace novel. This story at no point becomes my own, but the story belongs in the back of our minds to be pulled-up during this coming year and looked at with a more discerning eye as the months pass. Our individual “issues”and problems today will seem petty and trivial in the face of what's to come: By the end of 2012 anarchy will run rampant across this great nation from the big cities to the small Kansas towns. Political affiliations will mean nothing. The new President you voted for in November may not even take office as what remains of our government will declare martial law and what is left of our military will roam your streets chasing looters. That said, allow me to wish each of my readers and fans a Merry Christmas and Happy New Year. Keep reading. According to Bible prophecy experts, 2012 will end with a jarring screech sometime around Christmas. A nuclear holocaust that will begin in the Middle East and include the United States will consume 2 billion people; one-third of mankind; a death toll 40 times greater than World War II. The ninth chapter of the book of Revelation states this battle begins between the Tigris and Euphrates rivers in an area known today as Iraq. 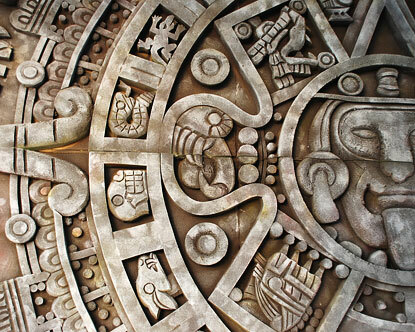 Interestingly, the Mayan Calendar ends on December 23, 2012. Many Bible interpreters believe as China and Russia join forces both U.S. coasts will suffer nuclear missile attacks. In a world of complete economic crash, both superpowers use force to protect their own countries and to secure for their people food and fuel resources. Hundreds of millions of inhabitants from Africa, all throughout the Middle East and a sixth of Russia will be wiped out when several things come together to create a flash point to include a global monetary collapse, a border treaty between Arab nations and Israel that is broken, and radical Muslim nuclear powers in the Middle East who try to use their source of oil to blackmail China and Russia, two vast nations that need massive amounts of fossil fuel to feed and warm their gigantic populations. We cannot begin to comprehend the devastation. As a culture, ours will be left with a shattered infrastructure. Rationing and chaos will exist beyond your front door. Medical facilities will be overburdened and basic items like clean water and fresh bread will be a luxury. Does this seem impossible and ridiculous? See film footage of Germany before, during and after WWII. For your own edification consult the books of Daniel, Ezekiel and Revelations in your own copy of the New Testament. During this coming year you will see and hear the Bible prophecy, both true and fiction. Do your OWN research. What happens when the smoke clears? A world in chaos will chose an anti-christ; one man to lead the world. This anti-christ using iron-hand brutal force will rule the world for a period of 42 months (3.5 years) until the final battle at Armageddon when he and his followers are slayed by Christ's return to Earth. Why are we to believe this? The Bible hasn't been wrong yet. Prophecy is coming to pass every day. Writing this does not make me the craziest man who ever drew on a pair of trousers. This was an eye gouging decision. My advice is not to wait for an elected politician or “government official” do your thinking and contemplation for you. Do this yourself and plan accordingly. Be pro-active with your minds and talents because the flash of a nuclear bomb leaves you little time to “consider” options. Discuss this potential scenario with friends and family. Ignore never works. "According to Bible prophecy experts, 2012 will end with a jarring screech sometime around Christmas." And how many times have the date setters been wrong? All of them that I can remember.